Just Jeeps TMR Delrin Door Hinge Liners With Tool For 2018+ Jeep Wrangler JL 2 Door Models | Jeep Parts Store in Toronto, Canada. 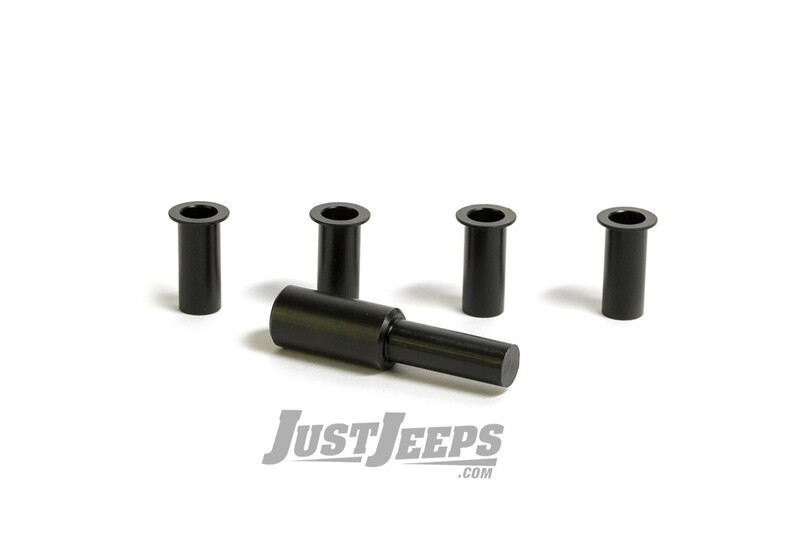 Sick of hard to open, leaking, sagging or hard to remove doors on your Jeep Wrangler? TMR Customs has the fix with our Jeep Delrin Door Hinge Liners! Designed to work with your factory door hinges. Includes detailed step by step instruction manual. Installation requires nothing more than simple hand tools and can EASILY be done at home! Note: WILL NOT WORK WITH AFTERMARKET HINGES OR DOOR PINS!